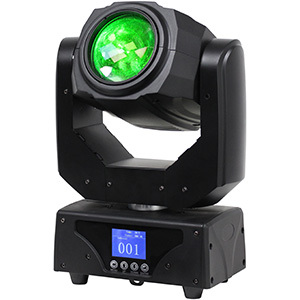 The new Vizi Hybrid 16RX is a professional moving head and the most powerful fixture in ADJ’s popular Vizi Series, giving mobile DJs a three-in-one effect that brings movement and colour to the dance-floor, even in larger venues. 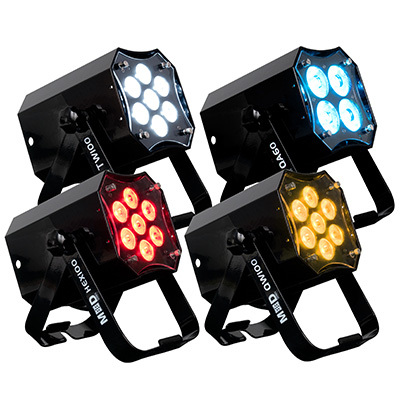 ADJ has equipped the Vizi Hybrid 16RX with a Philips 330W MSD Platinum 16R discharge lamp, which provides users with an output comparable to that of a 575W fixture, enabling a flat, even spot field and more saturation of colours. 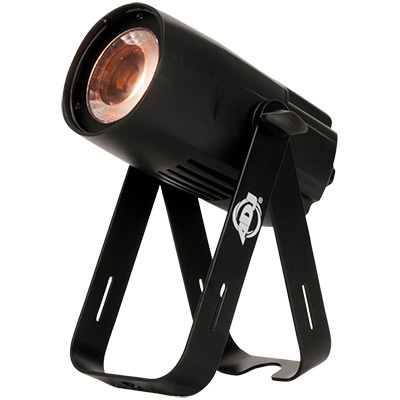 The fixture also offers dynamic movement thanks to its dynamic 360-degree pan and 270-degree tilt. Meanwhile, motorised zoom and focus allow mobile DJs to create concise beams, for mid-air effects, or widen the angle out from three to 32⁰ for table spotting, stage washing, architectural highlights and other professional applications. When it comes to GOBO and colour selection, the Vizi Hybrid 16RX offers a wide and varied choice. 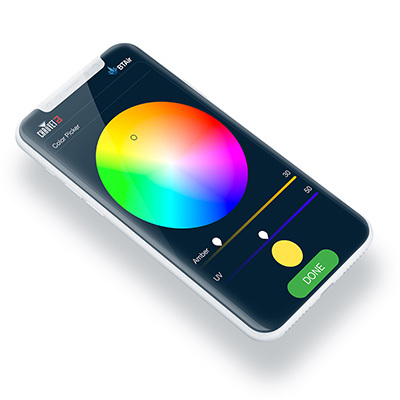 Users can select from a range of 14 colours, plus white, whether they want ambient washes in subtle purples and blues or overhead beams in vibrant oranges and hot pinks. As well as offering these colour options, the fixture is also fitted with two independent GOBO wheels: one with 16 static GOBOs (+ spot and frost) and another with 12 interchangeable, rotating glass GOBOs (+ spot), including swirls, dots and other patterns. These patterns can then be enhanced using the GOBO scroll, GOBO shake and GOBO morphing features. 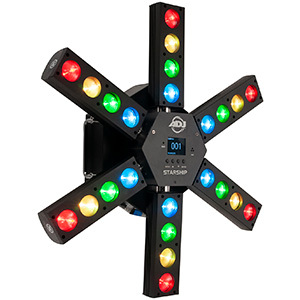 Mobile DJs who want to get creative with the effects produced by the Vizi Hybrid 16RX will find that ADJ has fitted the fixture with two prisms: one 6-facet and one 8-facet, both of which are individually rotatable, allowing for multi-directional prism effects. 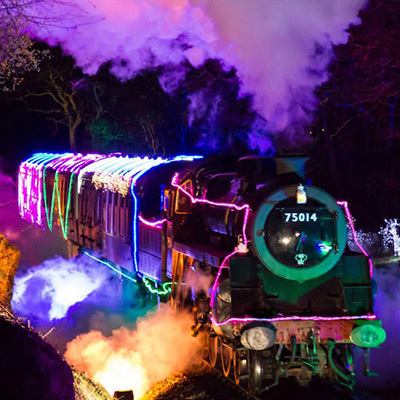 These prisms can also be morphed together to generate eye-catching effects that will grab the audience’s attention at weddings, parties, corporate dos and other events. 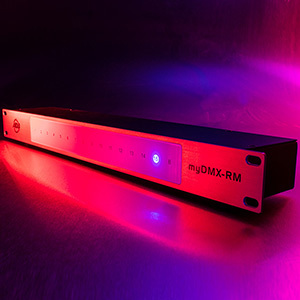 In terms of operation, the 16RX can be controlled using the 19-channel DMX mode, which provides unrestricted control over its range of features. 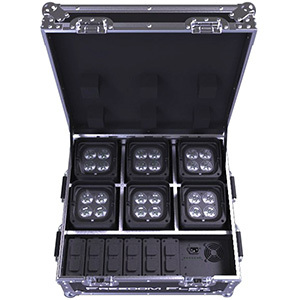 Also, with XLR in/out connections built in, multiple Vizi Hybrid 16RX fixtures can be DMX-linked, letting mobile DJs create eye-catching cross-venue displays. Well-suited to the mobile needs of the modern DJ, ADJ has also ensured that the Vizi Hybrid 16RX is compact and lightweight, despite its professional features, allowing it to be easily incorporated into a mobile rig. 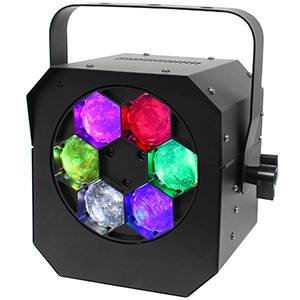 The fixture’s low weight (23kg) and portable size (325 x 370 x 571mm) also mean that it moves faster than previous ADJ moving heads, giving users the ability to take fast-moving beam displays out on the road. 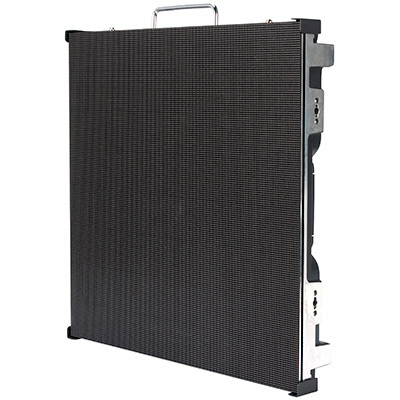 The Vizi Hybrid 16RX is available now from ADJ.